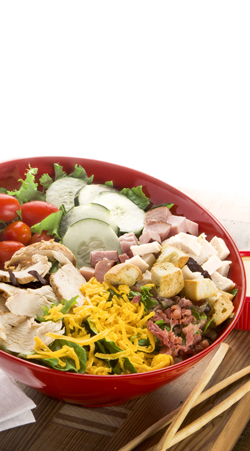 Sliced flame-grilled chicken breast, crumbled bacon, diced smoked ham, diced oven-roasted turkey (nitrate-free), Arcadian mixed greens, sweet grape tomatoes, cucumbers, aged cheddar cheese, house-made croutons and made-from-scratch honey mustard dressing. 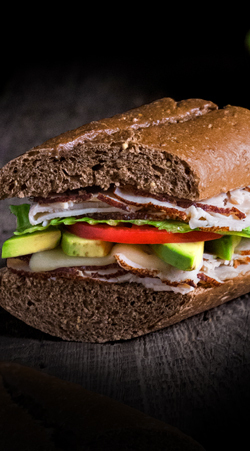 Hand-sliced, oven-roasted turkey (nitrate-free), Ammerländer Swiss cheese, avocado, romaine lettuce, tomato and mayo. 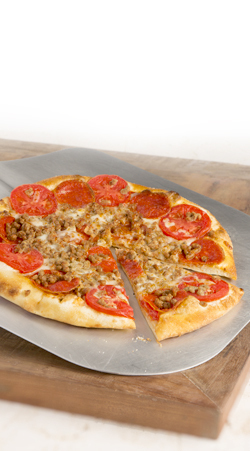 Served on Newk's 11-grain wheat bread. 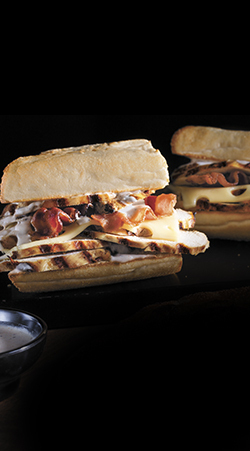 Sliced flame-grilled chicken, thick-cut bacon, Ammerländer Swiss cheese and our signature white BBQ sauce. Served on Newk's famous French Parisian bread. Hand-sliced smoked ham and oven-roasted turkey (nitrate-free), thick-cut bacon, Ammerländer Swiss cheese, aged cheddar cheese, tomatoes and romaine lettuce. Topped with mayo and made-from-scratch honey mustard.Served on Newk's famous French Parisian bread. 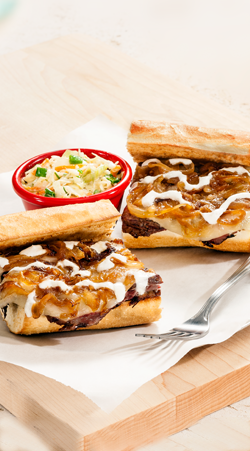 Medium rare flame-grilled petite tenderloin steak, caramelized onions, provolone cheese and zesty horseradish sauce. Served on Newk's famous French Parisian bread. Cured meats including imported hot capicola, mortadella with pistachios, Campioni pepperoni and Genoa salami. 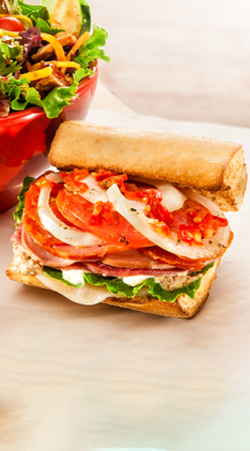 Topped with provolone cheese, romaine lettuce, tomato, yellow onion, hot cherry peppers, spicy Creole mustard, mayo and made-from-scratch Italian sauce. 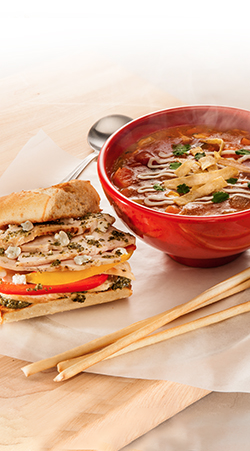 Served on Newk's famous French Parisian bread. 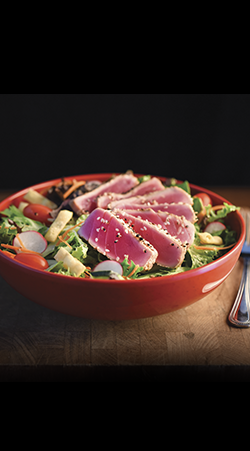 Seared Ahi Tuna served on a bed of mixed greens with cucumbers, tomatoes, radishes, carrots and our house made Ginger Wasabi dressing. 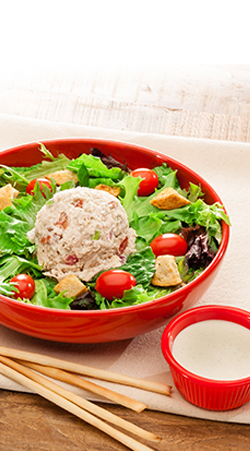 Chicken salad – made from scratch with tender all-white meat, sliced grapes, diced red onion, pecans and mayo. 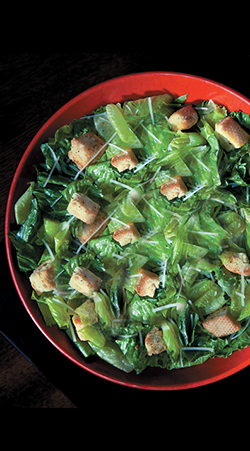 Topped with romaine lettuce, tomato, mayo, provolone cheese and spicy Creole mustard. 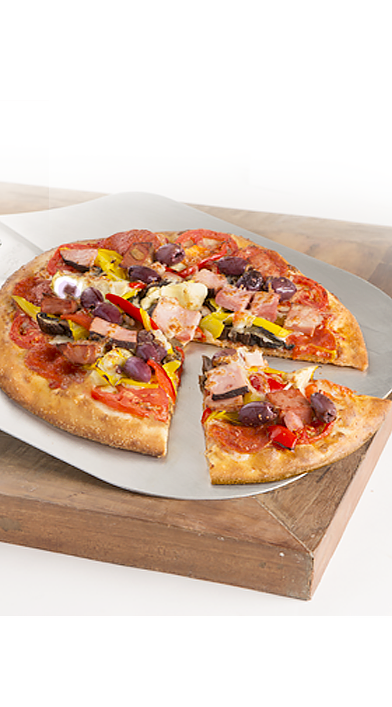 Served on Newk's 11-grain wheat bread. 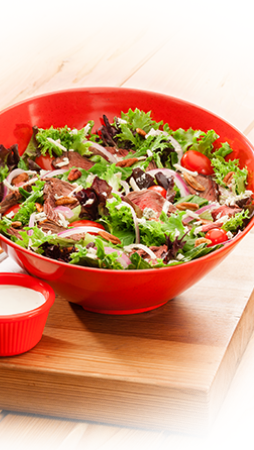 Medium rare flame-grilled sliced petite tenderloin steak, Arcadian mixed greens, crumbled gorgonzola cheese, pecans, sweet grape tomatoes, sliced red onion and creamy bleu cheese dressing. 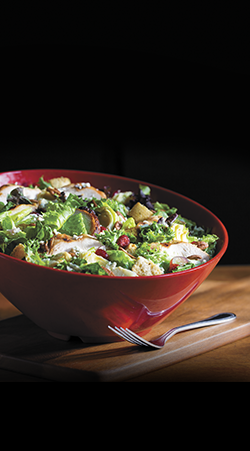 Sliced flame-grilled chicken breast, Arcadian mixed greens, crumbled gorgonzola cheese, sliced grapes, artichoke hearts, pecans, dried cranberries, house-made croutons and made-from-scratch sherry vinaigrette. 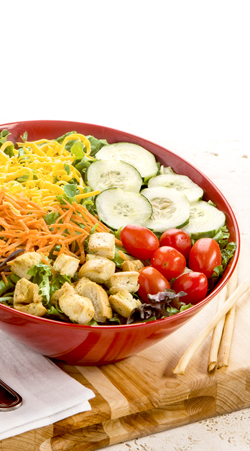 Add steak, grilled salmon or broiled shrimp. 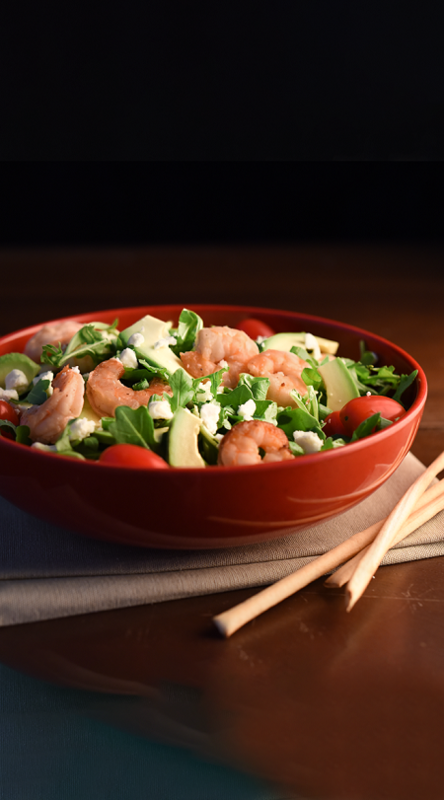 Arugula, one dozen boiled shrimp, diced avocado, Feta Cheese, tomatoes, and our House made lemon basil vinaigrette. 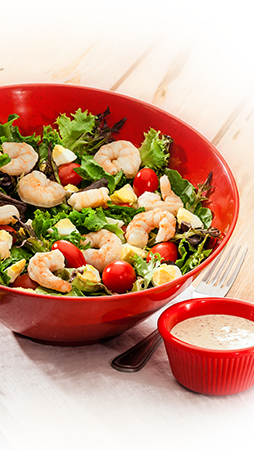 A full dozen plump broiled shrimp atop Arcadian mixed greens, with diced hard-boiled eggs, sweet grape tomatoes and made-from scratch Rémoulade dressing. 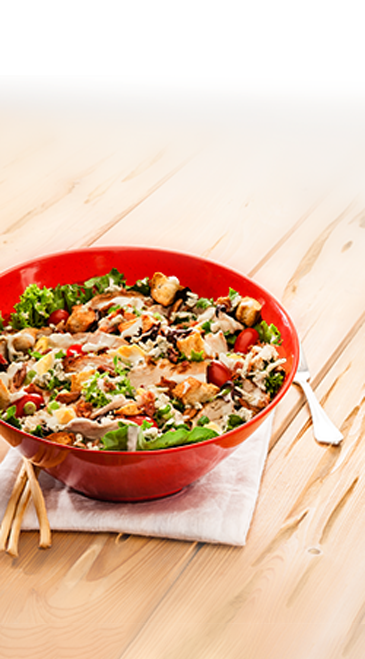 Sliced flame-grilled chicken breast, crumbled bacon, Arcadian mixed greens, diced hard-boiled eggs, crumbled gorgonzola cheese, sweet grape tomatoes, green onions, pecans, house-made croutons and creamy bleu cheese dressing. 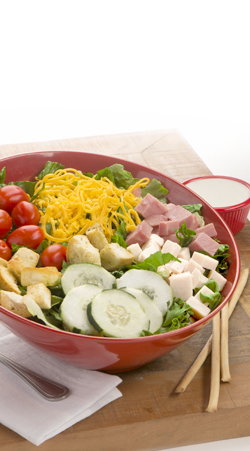 Diced smoked ham and oven-roasted turkey (nitrate-free), Arcadian mixed greens, sweet grape tomatoes, cucumbers, aged cheddar cheese, house-made croutons and your choice of dressing. 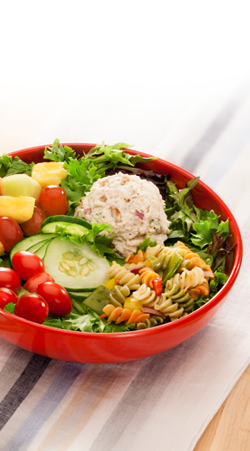 Our signature chicken salad - made from scratch with tender all-white meat, sliced grapes, diced red onion, pecans and mayo - Arcadian mixed greens, sweet grape tomatoes, house-made croutons and your choice of dressing. 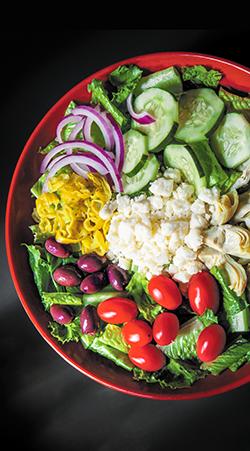 Crisp romaine fillets, tangy feta crumbles, artichoke hearts, imported kalamata olives, cucumbers, crunchy pepperoncini peppers, sliced red onion, sweet grape tomatoes and made-from-scratch Greek dressing. All sandwiches served with a side of your choice: Cole slaw, “Tippah County” caviar, pasta salad, fresh fruit or chips by the bag. 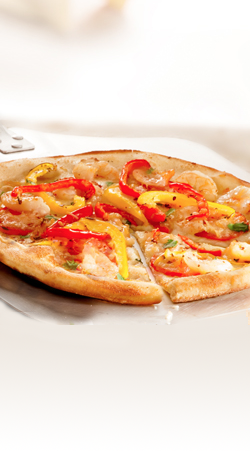 One dozen shrimp, imported Extra Virgin Olive oil, lettuce, tomato, pickles, sliced red onion with cocktail sauce on the side. Served on Newk's famous French Parisian bread. Medium-rare thinly sliced roast beef topped with provolone cheese, romaine lettuce, tomato, mayo and spicy Creole mustard. 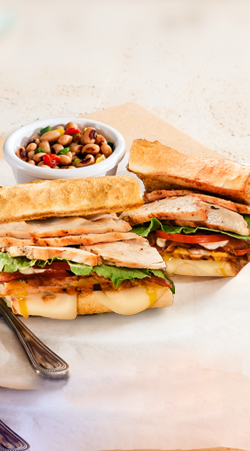 Served on Newk's famous French Parisian bread. 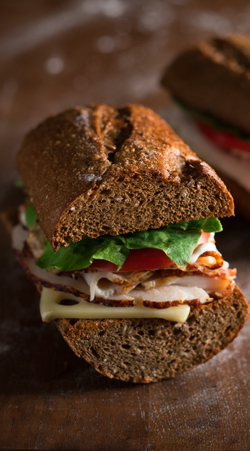 Hand-sliced oven-roasted turkey (nitrate-free), Ammerländer Swiss cheese, romaine lettuce and tomato. Dressed with mayo and spicy Creole mustard. 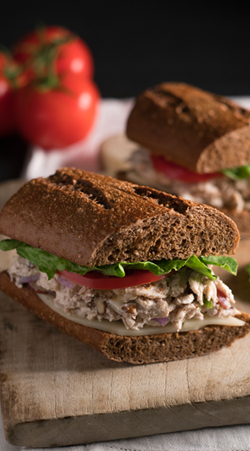 Served on Newk's 11-grain wheat bread. 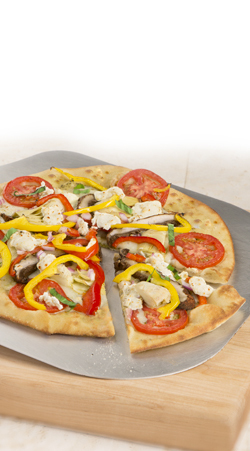 Sliced flame-grilled chicken breast, red and yellow bell peppers, creamy goat cheese with basil and garlic pesto sauce. 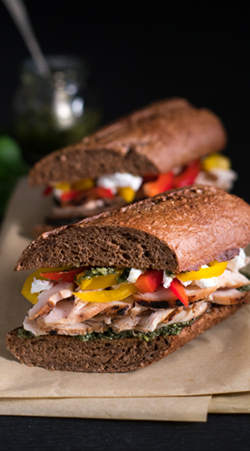 Served on Newk's 11-grain wheat bread. Sliced flame-grilled chicken breast, thick-cut bacon, Ammerländer Swiss cheese, romaine lettuce, tomato, mayo, olive oil and made-from-scratch honey mustard. 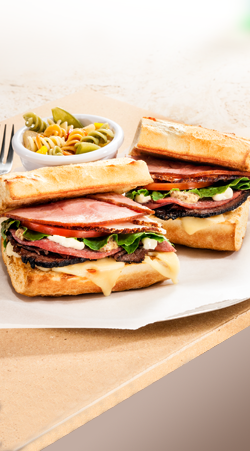 Served on Newk's famous French Parisian bread. 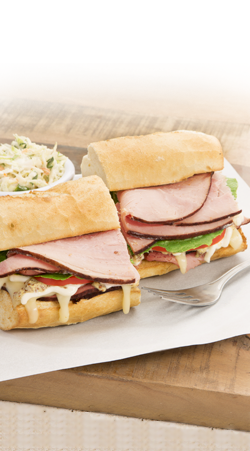 Hand-sliced smoked ham and oven-roasted turkey (nitrate-free), Genoa salami, choice roast beef, Ammerländer Swiss cheese, romaine lettuce, tomato, mayo and spicy Creole mustard. 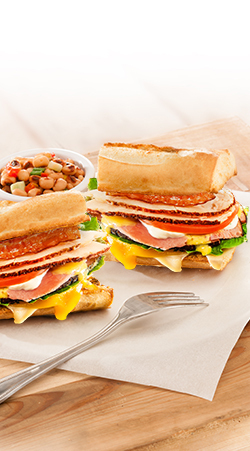 Served on Newk's famous French Parisian bread. 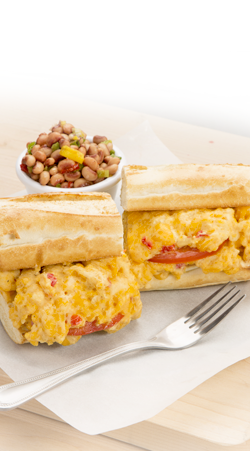 Creamy pimiento cheese – made from scratch with aged yellow and Vermont white cheddar cheeses. 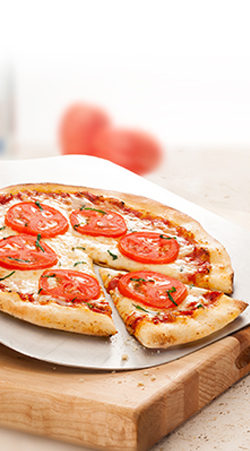 Dressed with ripe red tomato. 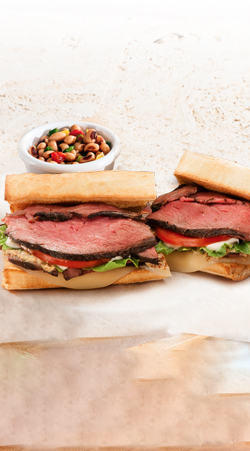 Served on Newk's famous French Parisian bread. 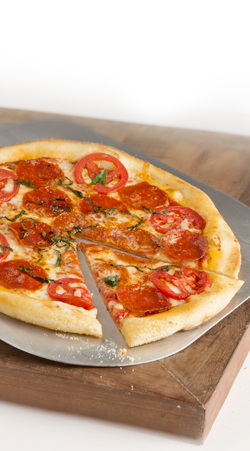 Every pizza comes on its own crispy, golden, 10-inch crust made of hand-rolled dough. 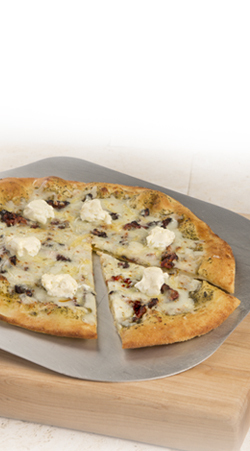 We brush the dough with garlic-infused olive oil to make it extra crispy. 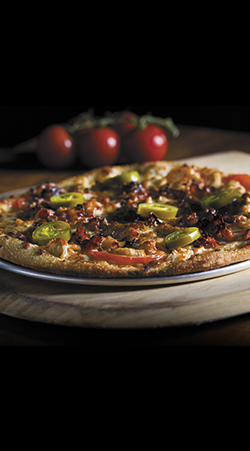 Sliced flame-grilled chicken breast, our signature white BBQ sauce, crumbled bacon, ripe Roma tomatoes, jalapeños, house-shredded mozzarella and provolone cheeses over our crust brushed with chili oil. 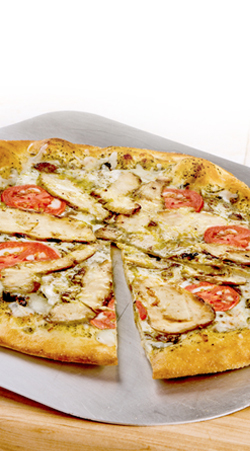 Sliced flame-grilled chicken breast, ripe Roma tomatoes, house-shredded mozzarella and grated Parmesan cheese over basil pesto sauce. 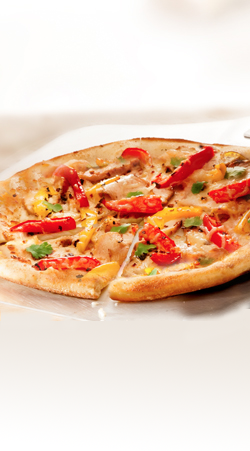 Sliced flame-grilled chicken breast, red and yellow bell peppers, ripe Roma tomatoes, house-shredded mozzarella, grated Parmesan and crushed red pepper flakes over our crust brushed with chili oil. Garnished with fresh cilantro. 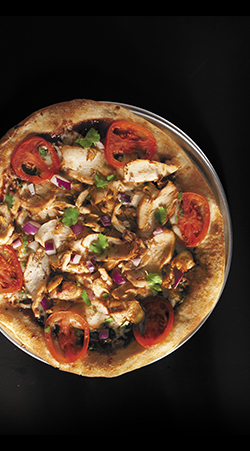 Sliced flame-grilled chicken breast, diced red onion, ripe Roma tomatoes and house-shredded mozzarella over sweet and tangy red BBQ sauce. Garnished with fresh cilantro. 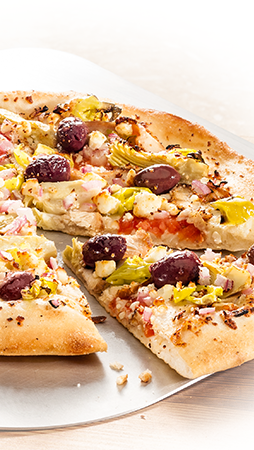 Sliced flame-grilled chicken breast, ripe Roma tomatoes, imported kalamata olives, artichoke hearts, crunchy pepperoncinis, diced red onion, crumbled feta cheese and house-shredded mozzarella. Asiago, Vermont white cheddar, imported Parmesan and Ammerländer Swiss cheeses folded into elbow pasta then topped with yellow cheddar and baked to a golden brown. Asiago, Vermont white cheddar, imported Parmesan and Ammerländer Swiss cheeses folded into elbow pasta then topped with yellow cheddar and baked to a golden brown. Served with one side. 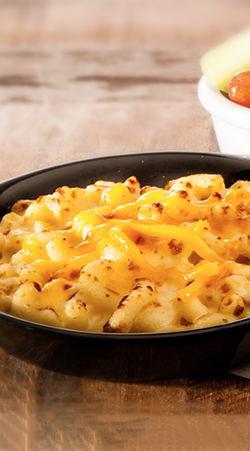 Five Cheese Mac with the extra creamy kick of pimiento cheese. Topped with crumbled bacon. Served with one side. 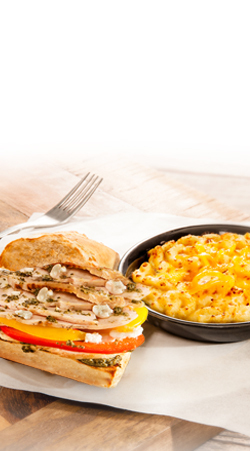 Pick your choice of any of our toasted sandwiches (half) served with a side of our five-cheese mac and cheese. 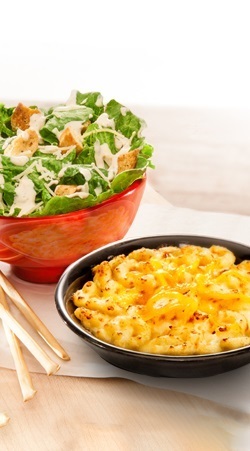 Get a half simply or caesar salad with a side of five-cheese mac and cheese. *You can substitute for Pimiento mac and cheese for an additional charge. Half of one of our signature toasted sandwiches served with your choice of a cup of one of our soups of the day. 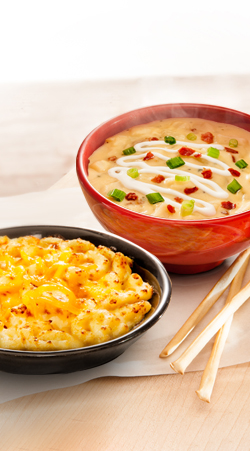 Your choice of a bowl of any of our soups of the day served with a side of our five-cheese mac and cheese. *You can substitute Pimiento mac and cheese for an additional charge. 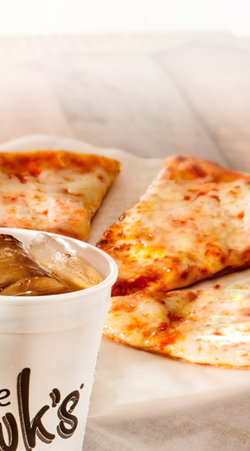 All Little Newks meals served with your choice of whole milk or apple juice. 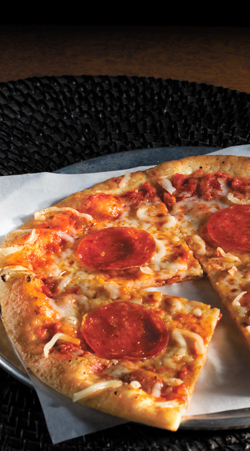 House-shredded mozzarella cheese and tomato sauce on an 7" hand-rolled crust. 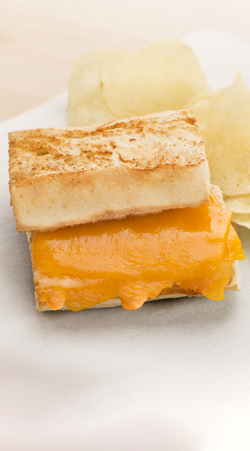 Aged cheddar cheese melted onto French Parisian bread, with chips or fresh fruit. 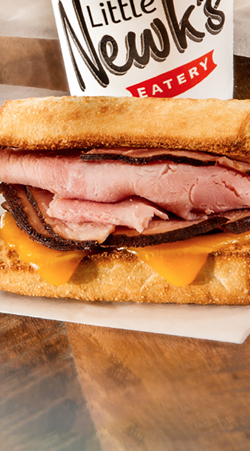 Smoked ham and aged cheddar cheese served warm on French Parisian bread, with chips or fresh fruit. 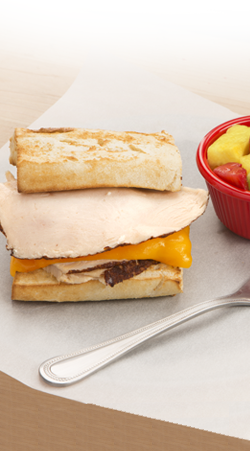 Oven-roasted turkey and aged cheddar cheese served warm on French Parisian bread, with chips or fresh fruit. Rich and creamy blend of Asiago, Vermont white cheddar, Parmesan and Ammerländer Swiss cheeses folded into elbow pasta then topped with yellow cheddar and baked to a golden brown, with chips or fresh fruit. 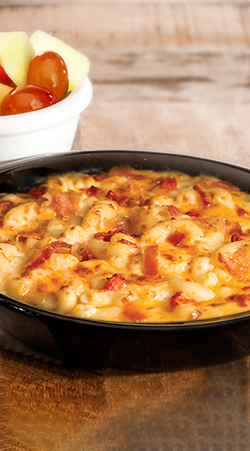 Five Cheese Mac blended with house-made pimiento cheese and topped with bacon, with applesauce, chips or fresh fruit. Honey Mustard, Balsamic Vinaigrette, Sherry Vinaigrette, Bleu Cheese, Greek, Ranch, Caesar, Remoulade, Fat-Free Raspberry Vinaigrette. 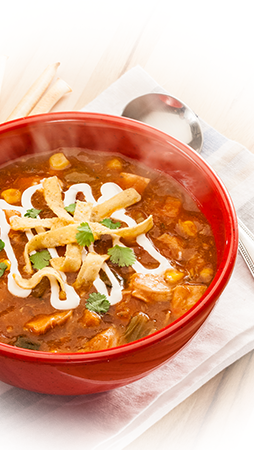 A zesty mix of black-eyed peas, green onions and bell peppers. 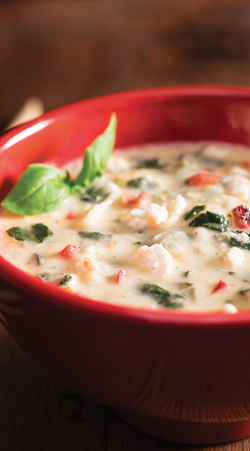 Soup availability is based off of the daily soup schedule. A refreshing vegetarian tomato soup with fire roasted tomatoes, onions, garlic, extra virgin olive oil and a touch of cream. 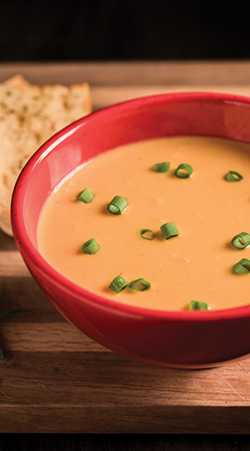 Newk's most popular soup. A hearty bisque with blue crab and cold water lobster meat in a flavorful seafood broth finished with cream and a touch of sherry.